For those of you who were here to experience something new… and for those of you who weren’t! Enjoy! Photos by Erin Drew and Jennifer Hatler. 1 Week Til Circus Time!!! Hey there Boys and Girls! Thinking about coming to the Circus? Here’s a helpful reminder of the schedule and how much fun you could have! 7:00pm – The Rocket Lands! Come down early and enjoy some great food from the gastronauts at Rocket Fine Street Foods! As you’re enjoying your goodies check out the exciting new changes happening around you in the downtown area! 7:40pm – Doors open to the Event! Come on in early to grab a good seat! For those 21 and over BYOB! Stop in and check out Artwell‘s 15th Annual Juried Art Exhibit! 8:00pm-ish – The Show Begins with a Mystery Puppet Show called “Balls of Moss”! What’s it about? I really have no idea, So let’s find out together!!! 8:15pm-ish – It’s a sideshow! It’s a variety show! It’s a stunt show! It’s a freak show! It’s the Circus Delecti! Laugh and Marvel at the Amazing tricks and stunts that will unfold before your very eyes! A Human Blockhead! A Contortionist! A Belly Dancer! And a Ninja vs Pirate Strongman Competition!! And much more!!! 9:00pm-ish – Get ready for The Ultra Violets!! Original Rock n’ Roll in the Style of the Flaming Lips, White Stripes, Radiohead, Beatles, Velvet Underground, Bob Dylan. 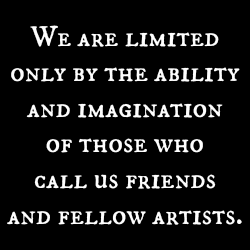 Also Trees, Space, Existence, The sky and Dreams! All this Amazing entertainment for such a low price?!? 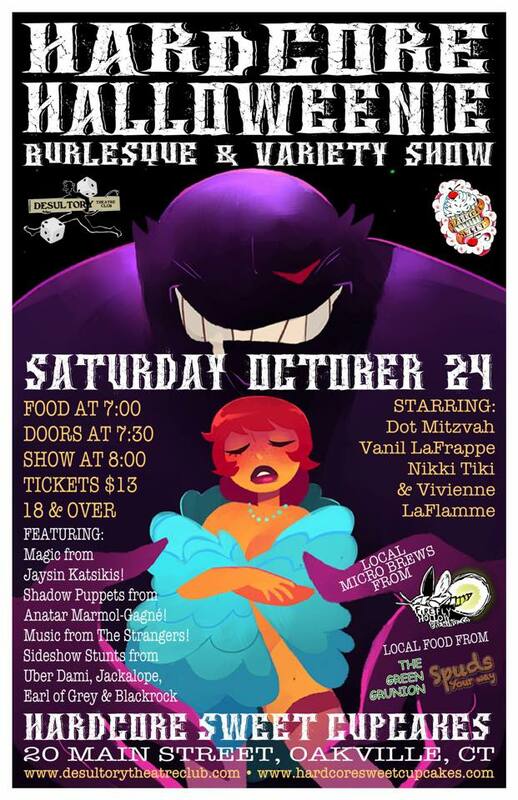 It’s a great night to experience one of the many new events that The Desultory Theatre Club and Torrington has to offer! 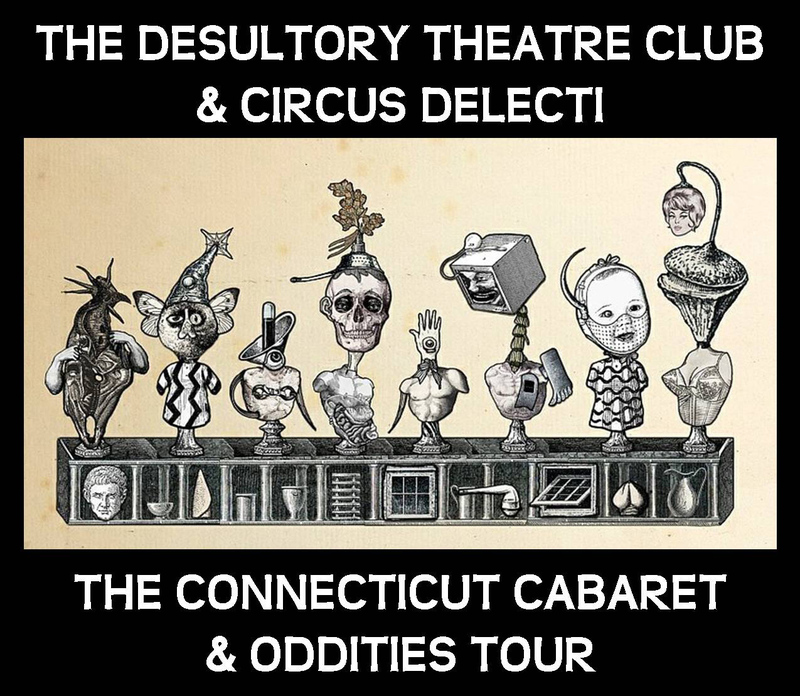 The Desultory Theatre Club’s Rock n Roll Circus Show! 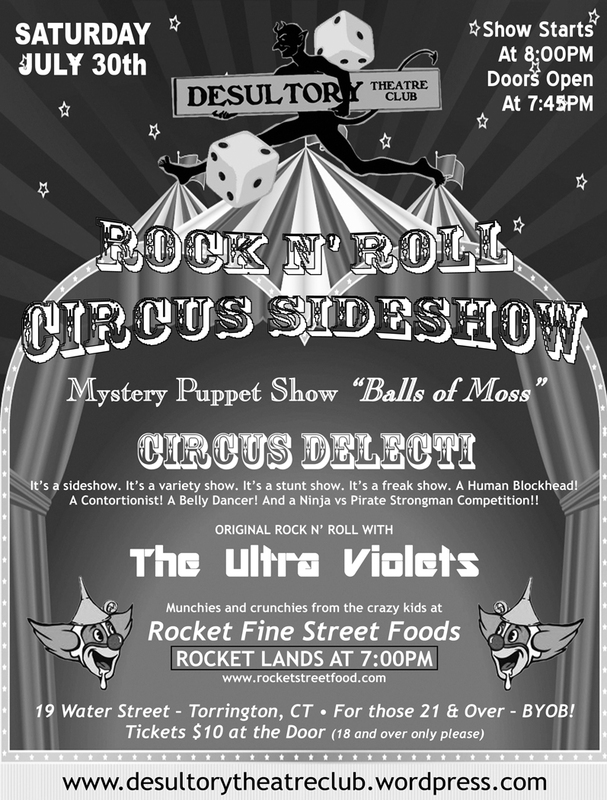 An Evening of Original Theatrics, Circus Sideshow Stunts and Rock n’ Roll!! 18 & Older to Attend – For those 21 & Over – BYOB! There will also be a limited number of $8 Standing Room Only Tickets! The Circus is Coming! The Circus is Coming! !